So... has this ever happened to anyone else? I've heard of them flagging people that have had multiple large orders in the past, but that it happened to you for one order is a little ridiculous. By any chance did you have it shipped to a business address? I wonder if that could set off red flags. I ordered the Scooby Doo Sets, Winter Village Toy Shop and Santas Work Shop and a couple Star Wars sets and Elsas Ice Castle... I did not have it shipped to a business address and the Customer Service rep even said that the email sent was different than one they would send to someone having something shipped to a business... All I know is that it is super frustrating... I have been a VIP member since 2011... I have sold maybe 6 sets in my life, but yet I have over 150... Maybe they will want me to take pictures of everything I have to prove I am not going to resell them... I even told them I was getting the Elsas Ice Castle for my daughters Birthday in November and they even asked me what day her Birthday was on... Ughhh so annoyed with them right now it isn't even funny..
That's frustrating. I almost always have my orders come to my company's address because I don't want them sitting outside the front door at home all day and I've never been questioned. I'm not sure what criteria they use to flag people, but I've been flagged before too. But then they sent it out. Most likely they'll "investigate" and find out you are safe and unflag your account. Although you will most likely have to re-order things if they cancelled it. I thought mine was just put on hold, but it was a few years ago so I can't be for sure anymore. I ordered 5 of those Halloween sets the other day because we're having a party here, thought it would be good to give the kids something. A day after ordering I begin to worry if they'd flag my account as being a reseller. I guess next time I try and order I may find out! It's a sad state when we have to worry about being flagged as a reseller for purchasing product through the companies own website all the while abiding by the limits of the site. If they would simply state their definition of a reseller, there would be a lot less worry. If they think buying 5 of something is too much, allow 4 and block future purchases of that item. How difficult can that possibly be?!? Yes, there will be those that create multiple accounts to get around the purchasing limit, but go after those people and leave the others alone. "Hey LEGO, I'm trying to throw money at you....stick your hand out and take it!" What a frustrating situation. Being flagged regarding your particular order just doesn't make sense to me. I wonder what their investigation involves. Customer service wise I haven't had any issues but I was at a lego store last week with a friend. He was trying to buy three trick or treat sets for his kids and was told there was a limit of two. He informed the lego store employee he was buying for three people so he really needed three. He then mentioned the limit online had been five. The employee just said "well then you should buy them online". They were sold out online. He called me over from the star wars section and explained the situation and the employee confirmed to me there was a limit of two. Not a problem, I'll buy the third. My friend bought two and handed me some cash. I paid for the third, then handed him the bag and his change. It was very odd. There was no indication anywhere that there was a limit of two of these things. I understand limits on the sets but when online limits five and a store has some other arbitrary number, it can be a little frustrating. Witch hunts always succeed and nobody innocent is ever affected. Right?! If they define what a reseller is in terms of purchases, then all it does is tell resellers exactly how much they can order without being flagged as a reseller. You'll probably find stock goes even quicker in that case, as people order exactly what they know they can get away with. Although setting limits then stopping people from buying what the limit is is just plain crazy. ^^^ yes, because someone who wasn't buying to resell would never lie that they were actually for someone else would they. I've seen store employees refuse limit breaking sales to a friend/family member before, so you actually did OK.
Don't get me wrong, lego make life hard for themselves but ultimately this is what happens when people are encouraged to flip hard to find / exclusives and buy up stock as soon as it's released. "Dang it! I wish LEGO would do something to discourage all these ridiculous resellers! Grrr!!!" "Dang it! LEGO did something to discourage all these ridiculous resellers! Grrr!!!" I got banned permenately from buying from [email protected] and ordering over the phone. Doesn't stop me from going into the store though. I don't see why TLG would be so bothered, they make and sell a product that is I demand. If a customer wants 10 then let them have 10 and order some more. Ultimately, buying multiples of an item leads to more stock being purchased and therefore, more being manufactured and in turn there will be more items available for all. The staff in my local supermarkets don't say a word if I buy all of the sets they have reduced by 50 - 75%, why should TLG be bothered about someone paying full price for multiples in their stores. Victim of their own success maybe? It's been about 18 months since we've had this discussion. I guess it's about time again for those who may have missed it last time. For you newbies, search @legofantexas comments. Every angle was covered. Oh well, it is what it is... They lost my business, obviously they don't really care. Now I just have to figure out how I am going to get the Toy shop and Santa's workshop... I just went to TRU and grabbed the Scooby sets I wanted, ended up saving 10%, got double rewards and the first weeks Bricktober set. It is supply issue. 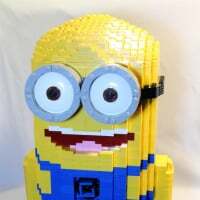 Lego cannot make enough sets quick enough to satisfy demand at certain times of the year. They'd prefer 100 satisfied customers in the pre-Christmas sales period than 1 satisfied reseller and 100 people paying double on ebay. Ultimately, yes, a victim of their own success. I can totally understand that.... IF I were buying multiple of all these sets... I wanted to purchase 8 sets, all different and still get flagged for being a re-seller... I just don't understand the reasoning behind it. Yes, that's stupid. They probably wouldn't have done anything if they were separate orders, or just big enough to qualify for free shipping. It could easily be birthday money or something similar, or as you say money you have saved waiting. But if I were you, I'd get the account sorted by phone but not place the orders again. Wait until you have another promo on, such as the Xmas promo sets, and place just big enough orders to get over the threshold. Spread them over a couple of days and get the freebies. I had a similar run in with them a few years ago (not being flagged as a reseller, but them removing promos even though they were on the order and in the order confirmation and on the delivery note) and decided never to buy from them again unless it was to maximise promos. They never get regular business from me, that goes to supermarkets. This will be interesting when I make a large order on Oct 13th. Guess I will go to the store that day. I should stand to get the free holiday set and still get double VIP points. The 13th is the only overlap day of the 2 promos!!! Hey I guess i could get the wife to buy half and I the other half to get 2 promo sets!!! I also made a large purchase, but no item duplicates. no issues, shipped same day. The only things I buy from LEGO are exclusives. the only times I buy them is when there is double points or a highly desirable promo (or both). thus, I tend to save up my wish list and place these large orders all at once. I suspect a LOT of people do similar things. Nothing about your order would seem to indicate a need to flag you. I wonder if it wasn't something else - a previous order or orders, in store purchasing behavior, someone else using your VIP number? The issue has been raised on the Ambassador forum based on this and a couple other examples that seem to indicate Lego has changed a process recently. The new Community Engagement manager for Lego has agreed to try to find some information and a response that can be shared publicly. There have also been some suggestions proposed to Lego on how to improve the consumer experience and still discourage reselling. I'm sure one of the Ambassdors will post any response when we get it. This all seems to go back to their horrible website and ordering system. Just follow Amazon's lead and pick a limit and a time reset (if reset at all) for that limit and enforce it by account. Then the only people you have to enforce and ban are those trying to use multiple accounts etc. @veedubguy83 Maybe its best that you do as CCC suggested by first clearing up your status, but then refrain purchasing from them until it's necessary. I'm same as @CCC and @dougts now when it comes to contempt of Lego Store & [email protected] Mine was spurred on by the 'No Discount' rule and has caused a 2 year protest against buying directly from them unless I absolutely need to for a special promo. Otherwise, I'm proactively seeking to spend my money elsewhere (preferably Target or Amazon) even if it was the same price as buying from Lego directly. Wow. If that happened to me, I would never buy another lego product from anywhere. If they flagged me, I don't think I would bother "clearing it up". Paypal "flagged" my account due to a bank snafu and I haven't used paypal (or ebay) since, whereas previously, I was a semi-regular ebay buyer, paying with paypal. I've stopped buying most sets directly from lego when they stopped the 10% discount. I still buy the seasonal sets and, occasionally, mini figures, directly. I've also run into the ridiculous limits at lego stores. I wanted to buy two of the halloween sets, but they told me I could only buy one. No amount of explaining that I had two kids to buy for would sway them. In the same trip, they also told me there was a limit of 16 for cmf. Ok. then a couple came in and said if they could buy an entire box between the two of them. They were allowed to do that and the sales person (different than the one I spoke to) even brought out a fresh box from the back for them. Even within one store, in a span of 15 minutes, they can't keep a consistent policy. I've had something similar, where one member of staff says "our policy is 'x'" and then another member of staff says to someone else, almost immediately after, that "our policy is 'y'" - you can understand rules being in place but a bit of consistency is needed. ...and speaking of other places customer service...just went to my bank, Chase, wow are they ever terrible, one branch has a different story from the other, and had to have a branch manager put something in writing because they even have a whole different answer from what I'm being told over the phone. So basically, it is whatever the mood of the moment is....and it is everywhere!! This may or may not relate to you, but something like this happened to me a while back and it was because I had bought a set on eBay that was from a dishonest seller. Unknown to me, this seller bought directly from lego.com and shipped to my address using a stolen credit card. So my address was flagged by lego. The lego employee was very honest about it, and said this is a common issue they have to watch for.